The National Fire Protection Association estimates that each year about 300 people in the U.S. die from carbon monoxide (CO) poisoning. Carbon monoxide is a common byproduct of incomplete combustion, produced when fuels such as oil, gas, coal, and wood are burned. Carbon monoxide is an odorless, colorless, tasteless gas. When CO goes undetected, it can be deadly. If you’re the property owner of a rental in Baltimore County, do you know about the carbon monoxide alarm policy? The Livability Code that applies to rental housing requires owners to install carbon monoxide detectors in the common areas outside of each sleeping area. According to the Carbon Monoxide Alarm Law of Baltimore County (BCC 35-5-213.1), which is enforced by the County’s Code Enforcement bureau, CO detectors must be installed in all rental properties that use fossil fuels for heat, ventilation, hot water, or appliance operation. The CO alarms must be installed in accordance with the manufacturers’ specifications. The detectors may be hardwired with battery backup; plugged into an electrical outlet not controlled by a switch, with battery backup; or battery powered. Property owners must submit a Carbon Monoxide Alarm Verification Form that is signed by them and the tenant and submitted to Baltimore County Rental Housing Registration. Dynamo Electric has the expertise to provide and install the CO detectors needed to comply with the regulations. 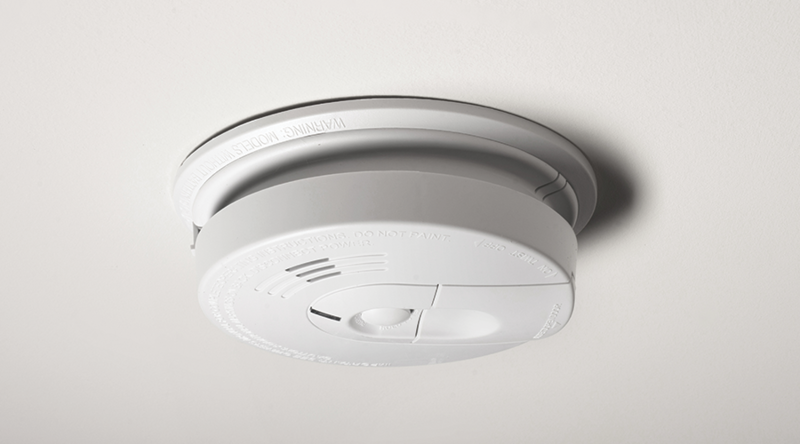 We can help you install a combination smoke / carbon monoxide detector so you and your tenants can live at ease. This entry was posted in Government Policies by admin. Bookmark the permalink.